In my last post, I defined Expected Family Contribution (EFC), how it works theoretically, and what happens in the real world. For many families, the difference between theory and practice is irrelevant since their EFC is much higher than their actual ability to pay. There are steps that you can take to reduce your EFC, and you should definitely do if you have the opportunity. However, the fact is that you’re likely to do more to cut the cost of college by targeting the right school than by trying to rearrange your finances. As demonstrated in the UT example in the previous post, you can identify which schools are more likely to meet financial need than others. 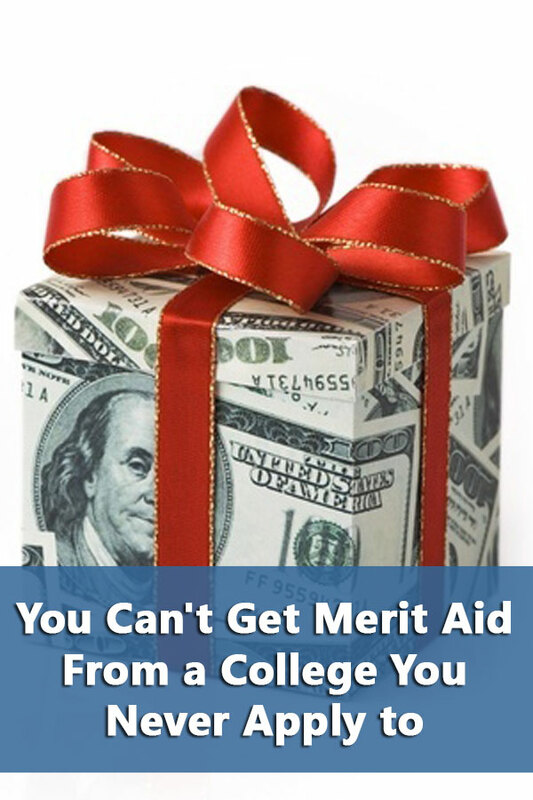 And if you aren’t very likely to show demonstrated financial need, then you need to start looking into merit aid. By the 1990s, the US News Best College Rankings became an integral part of the college selection process for many high school seniors. To improve their rankings, colleges began recruiting students that would improve their academic profile in the rankings. No, they weren’t looking for more science fair winners, they wanted higher SAT/ACT scores and GPAs which would improve their rankings. To lure such students to their schools, they began offering merit aid to those with the most desirable scores. This is the way it works. Schools list the SAT/ACT scores for the middle 50th percentile of their students. This means that a school with a 25th percentile SAT score of 1000 and 75th percentile score of 1200 had 50% of their students with scores in between the two scores. 25% will have scores higher and 25% will have scores lower. Now imagine two schools. Super School has a 50 percentile range of 1200 to 1350 and Slightly Less Super School has a range of 1100 to 1200. If your student scored a 1250, she would rank somewhere in the middle of the pack for students attending Super School but be in the top 25% of students at Slightly Less Super School. So Slightly Less Super School might offer the student $15,000 in merit aid whereas Super School wouldn’t offer her anything. This is the preferential packaging approach described by Muhlenberg College. The greater your EFC, the more likely that the only way of significantly cutting your tuition costs is to qualify for merit aid. Whether or not schools should use their funds to attract students through merit aid or use the money to provide more need based aid is part of the general debate about college costs. But until things actually change, you can use this information to your advantage. The largest amount of money to reduce your tuition costs will come from the school itself. Therefore, apply to schools that want you and are willing to show it financially. This isn’t just about test scores and GPAs. Schools that have an imbalance between men and women are more likely to offer more aid to students from the smaller group. Schools trying to improve a national reputation are more likely to offer aid to out-of-state students than in-state students. Some public universities offer in-state tuition to out-of-state students with high test scores. Knowing your EFC is the first step in ensuring there won’t be any nasty surprises when you get your financial aid award from the college. If you have a relatively low EFC, it means you want to look for schools that have a reputation for meeting full need. It also means that you may be eligible for scholarships and programs targeted at low-income or underrepresented students. Knowing you have a high EFC means that you should be looking at schools that offer opportunities for merit aid. Once you target the colleges, you’ll need to use their Net Price Calculators (NPC) to get a better idea of the type of aid you might be eligible for. Depending on the quality of the calculator, it should provide you with a pretty good sense of how much you would have to pay to attend. 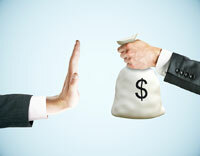 If you know your EFC, you can make sure your college list includes at least one “financial” safety school. This is the college or university that the student is pretty certain to be admitted to and that the family can afford without any help from the school. And it must be a college the student will be happy to attend. Perhaps a better way to use your EFC and NPCs is to make sure students don’t apply to colleges they can’t afford to begin with. In other words, only include “financial safeties” on the college application list. This way parents aren’t tempted to tell teens that if “they get in, they’ll find a way to pay for it.” Depending on the student, schools may be on the application list but with the understanding that they are only viable if the student receives a certain amount of merit aid. You can’t do any of this if you wait until after you apply to colleges to get your EFC. You can get an estimated EFC by using one of the many calculators available on the web. I recommend using College Board’s EFC Calculator since it provides both an institutional (PROFILE) and federal EFC estimate. Ultimately, knowing your EFC is kind of like knowing how much money you have available to spend when going car shopping. You know that $20,000 can go further at a dealer that is offering rebates or lower financing-in college terms this is using the NPCs. But you must have a base number to start with so that you can figure out the range you can afford.